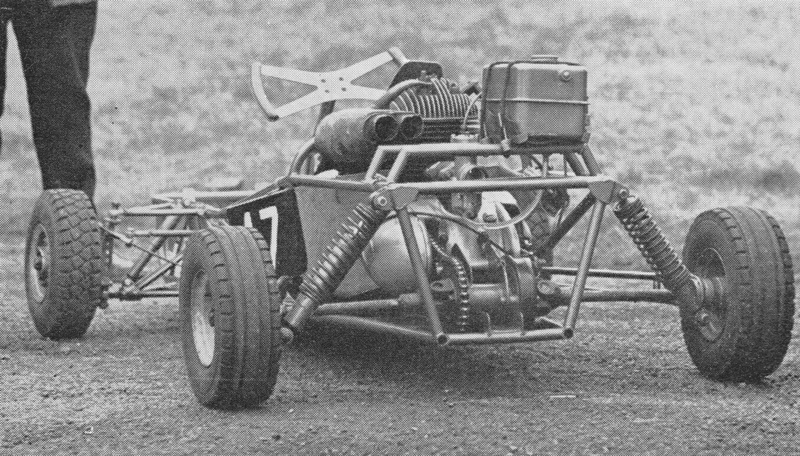 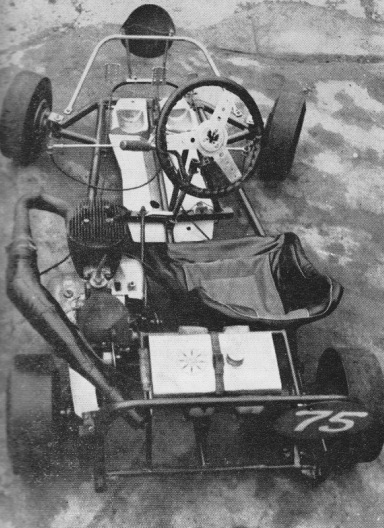 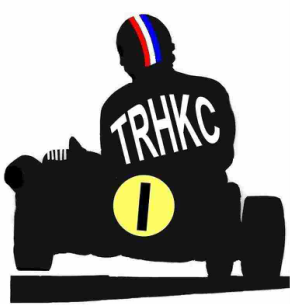 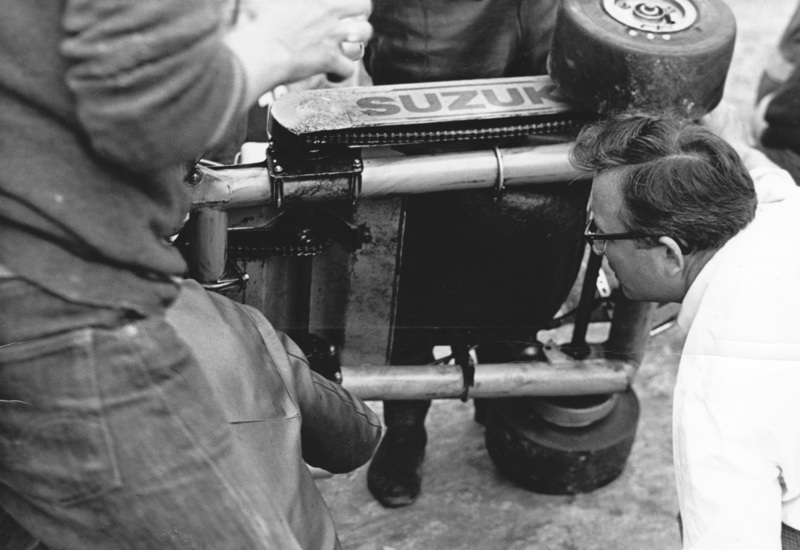 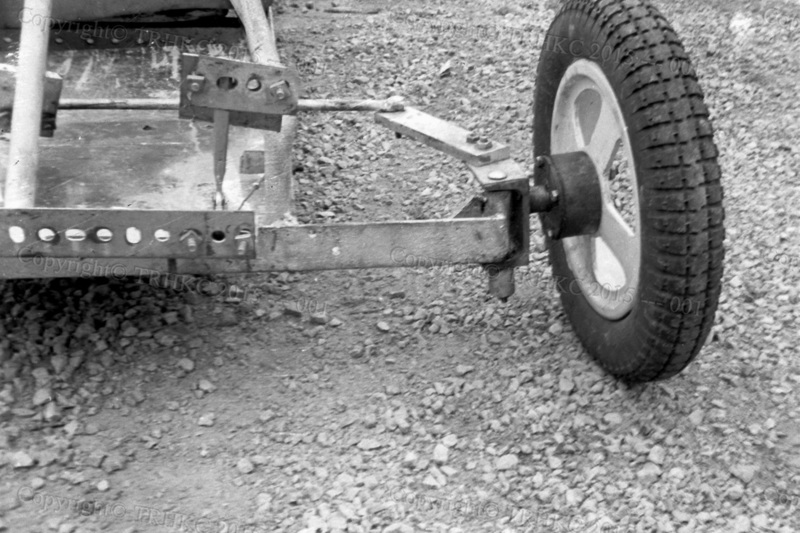 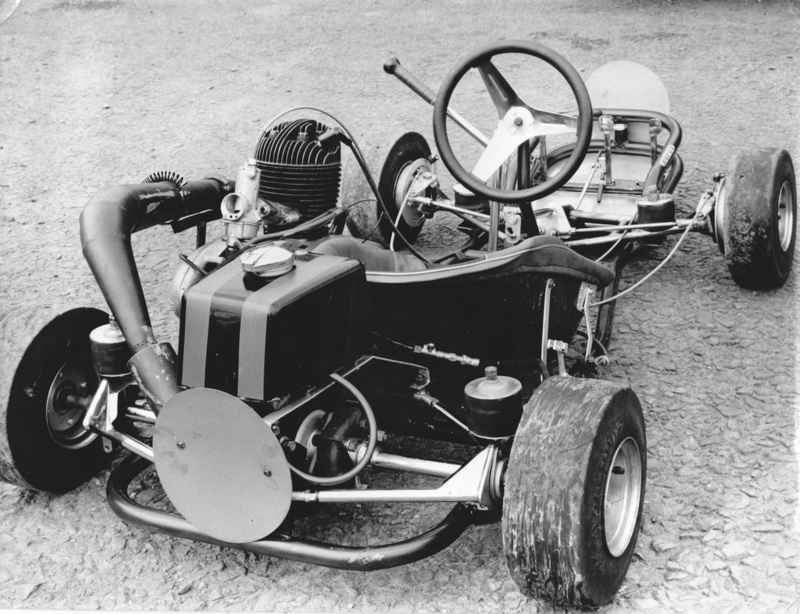 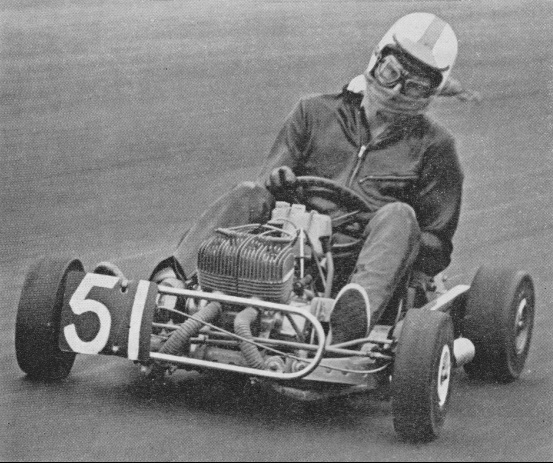 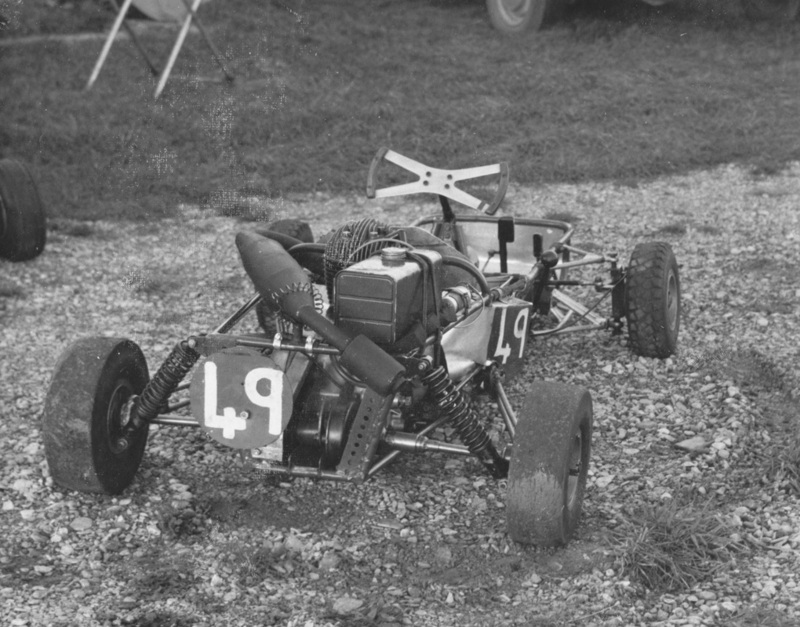 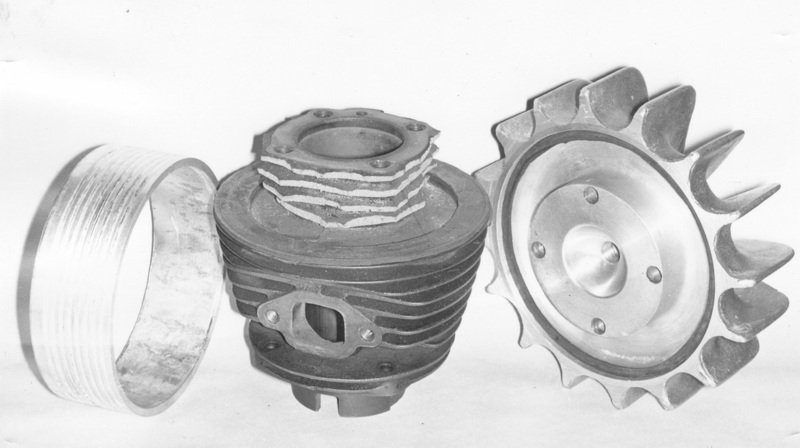 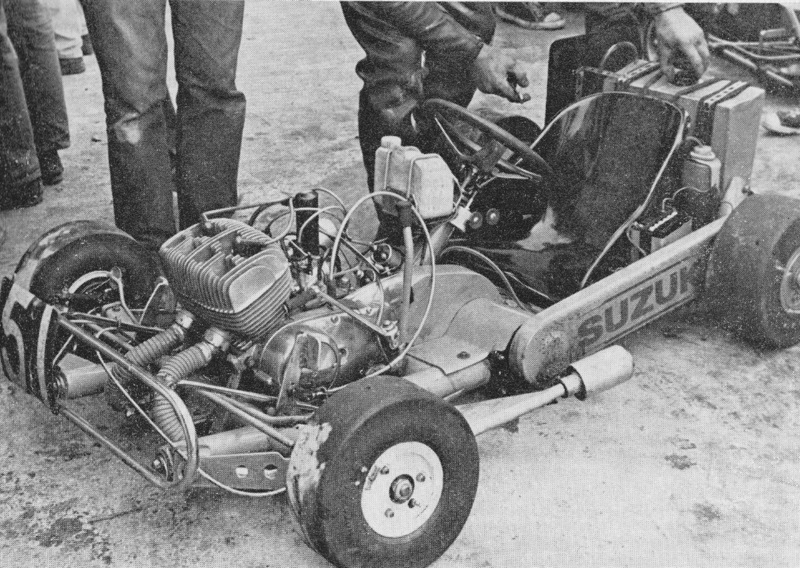 This rare breed of kart engineers shaped karting with new and innovative ideas, many of which are hailed as the latest thing by the modern manufactures; the 1959 Progress Kart used an hollow axle and one kart in particular use technology that Formula 1 have only discovered in recent years. 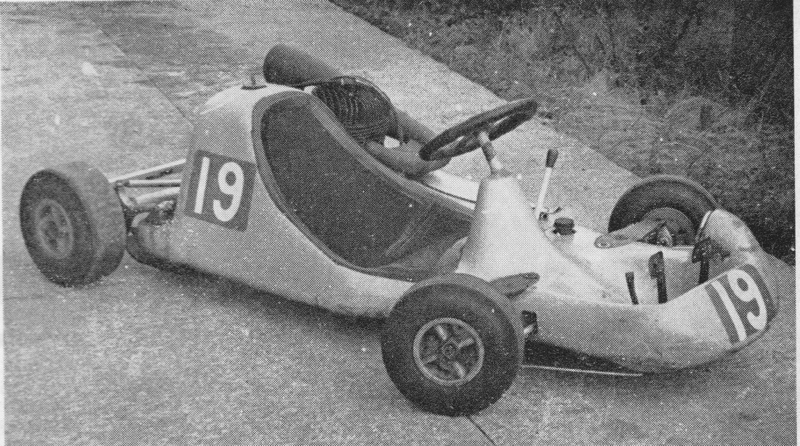 The Meson Mk II “International” featured in Karting Magazine’s article “The Special Builders” Early March 1970 Issue 168. 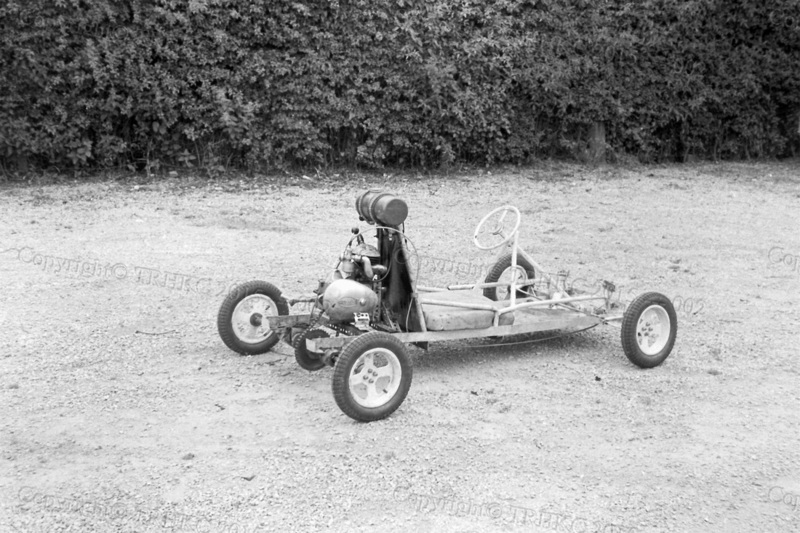 This kart would have been built in 1968/9, some forty five years ago; take a look and tell me if you don’t see the modern Formula 1 in the making, the material used may be a little better these day but the bare bones are there for all to see. 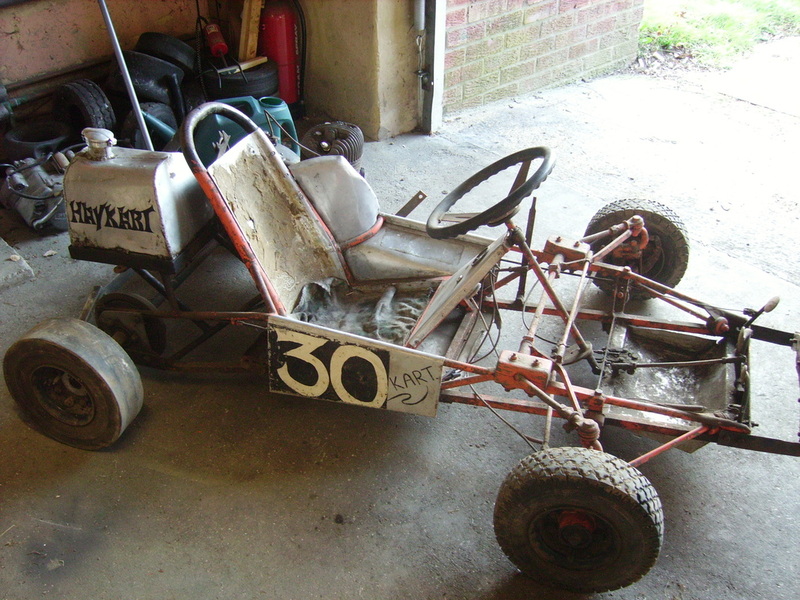 This kart was built by Mr Smith of Reading as a one-off. 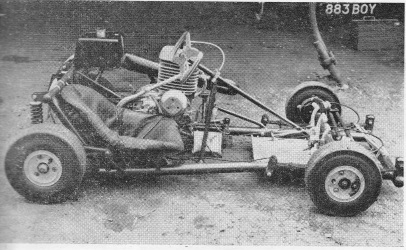 The Barracuda, built by Graham and Dennis Sheppard. 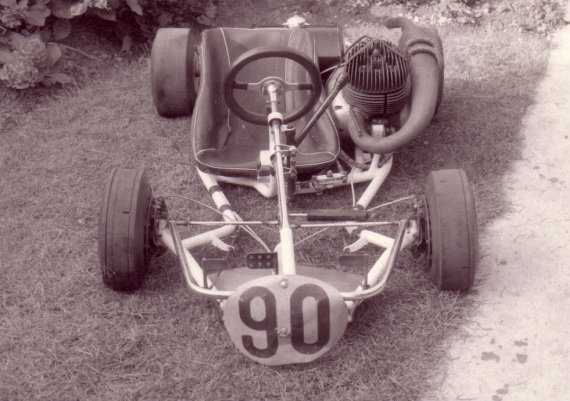 "The family of George Bicker have kindly given me old photos and a car bumper badge for 'The Hunts Kart Racing Club' so they go to a good home. 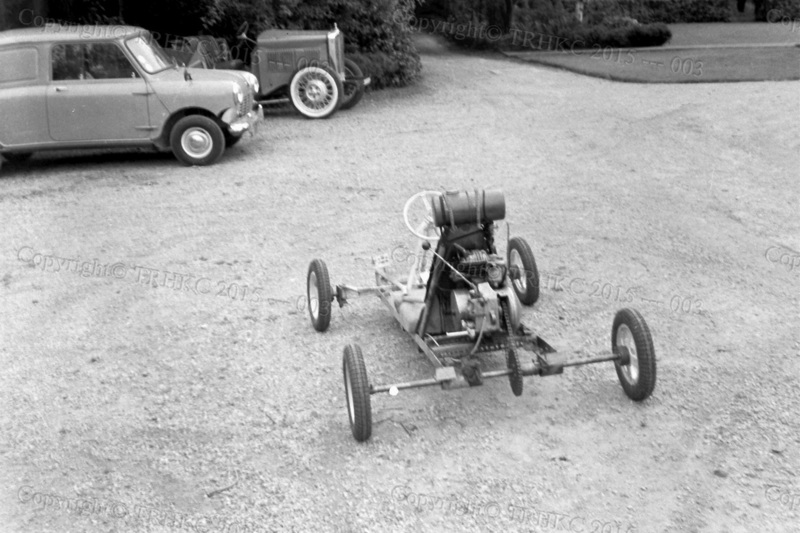 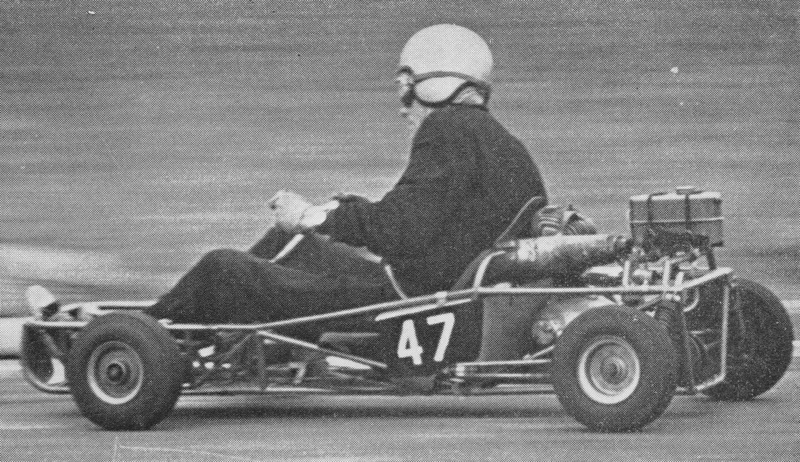 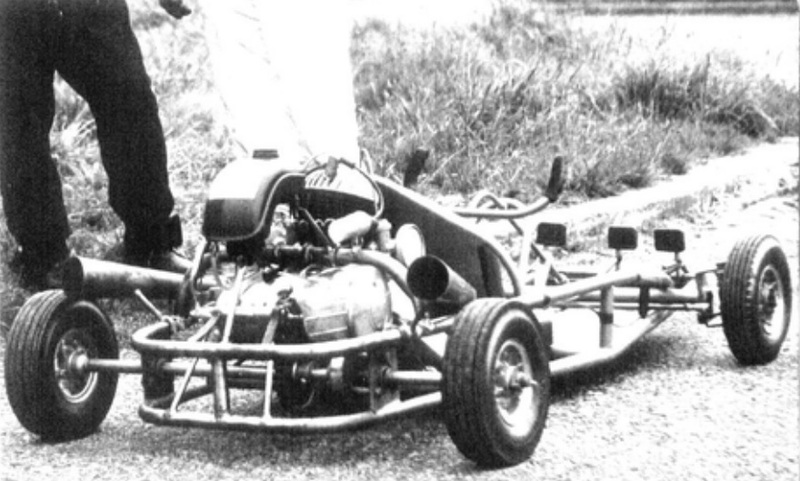 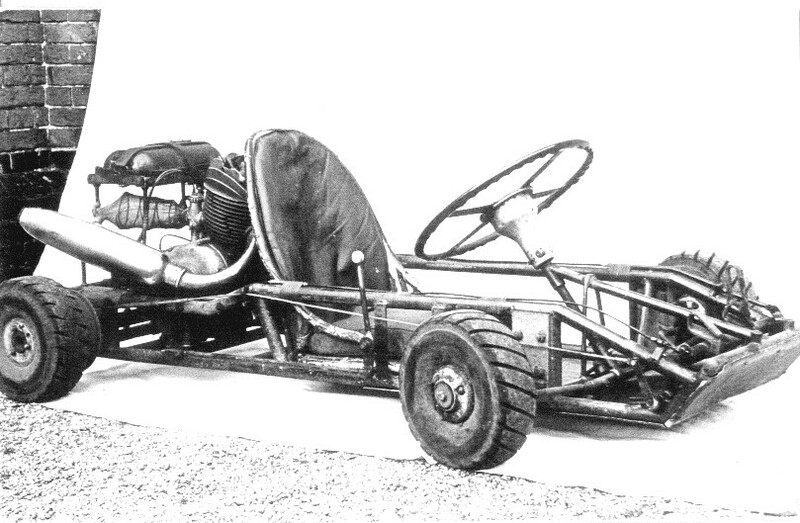 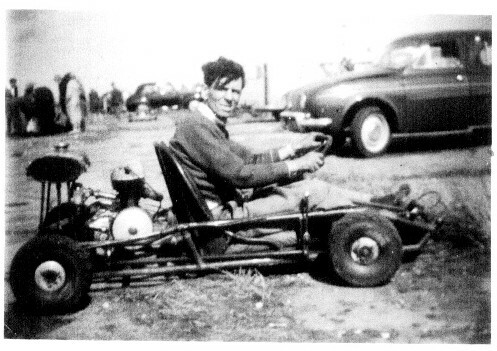 George built his own kart in 1960 with a Villiers 8E which he later changed to a Zundapp. 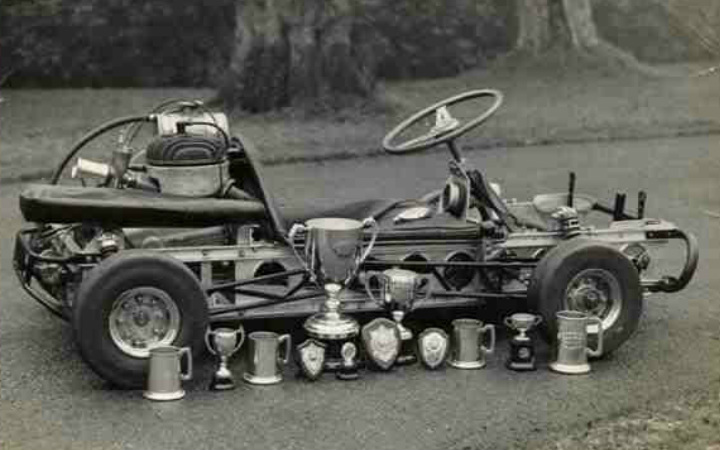 He raced regularly throughout the 60's picking up a few trophies at local tracks." 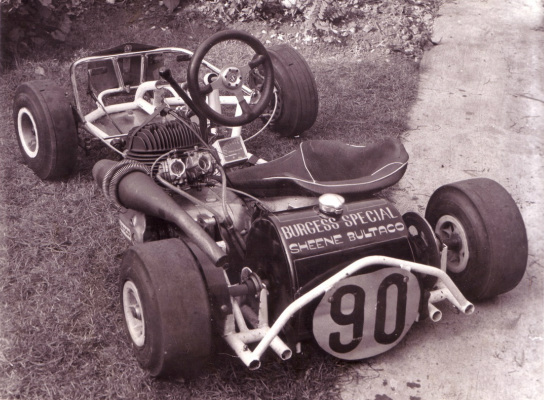 I would like to thank Richard for sending me these pictures, it is a real privilege to be able to record the history of the "Special Builders" if you have any pictures you would like to see included in the Special Builders section please use the Contact Form. 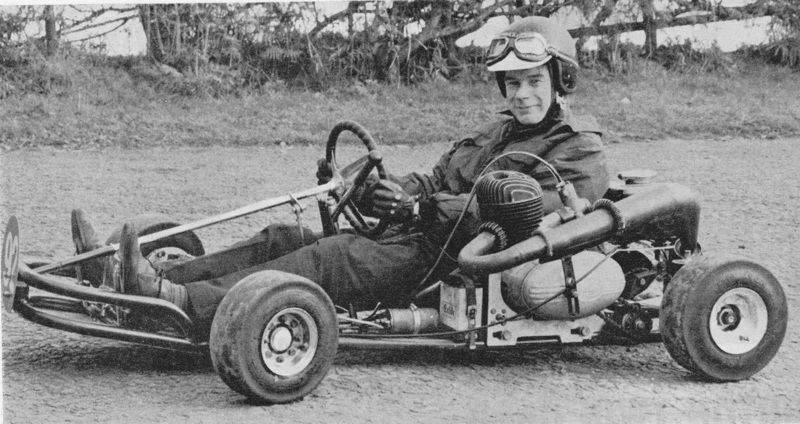 Peter Burgess is one of the best known special kart builders, not least because he is one of the most successful. 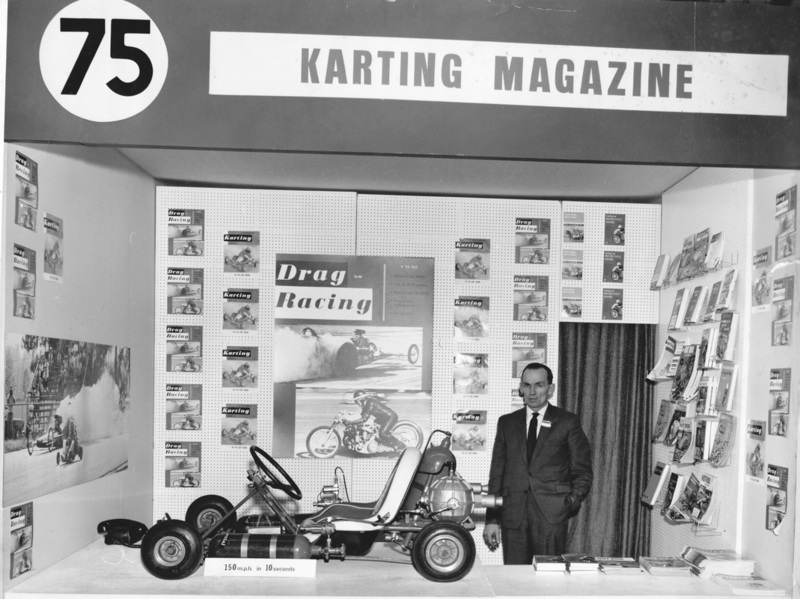 During the late sixties and through seventies it was difficult to pick up any karting magazine that did not have some kind of a photograph or artical on Peter or one of his Burgess Special's. 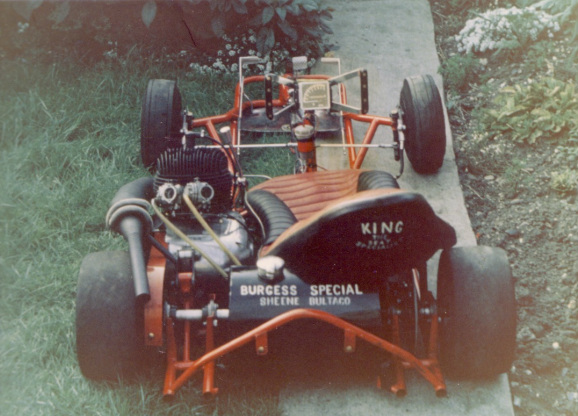 Innovation and quaity of build were the trade make of the Burgess Creations, stunning good looks were a given. 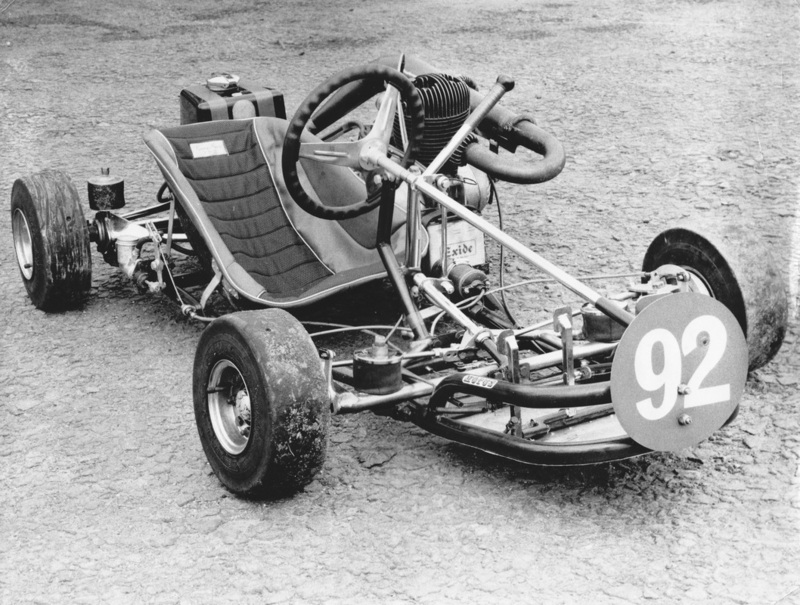 To the best of my knowledge Peter never gave his karts a name or Mk number, for the purposes of this A/Z and to make it easy for the reader chart the evolution of these karts, I have given them names and Mk numbers. 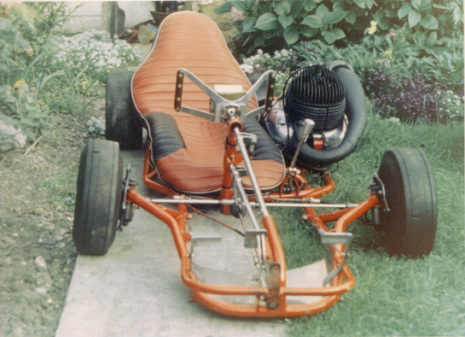 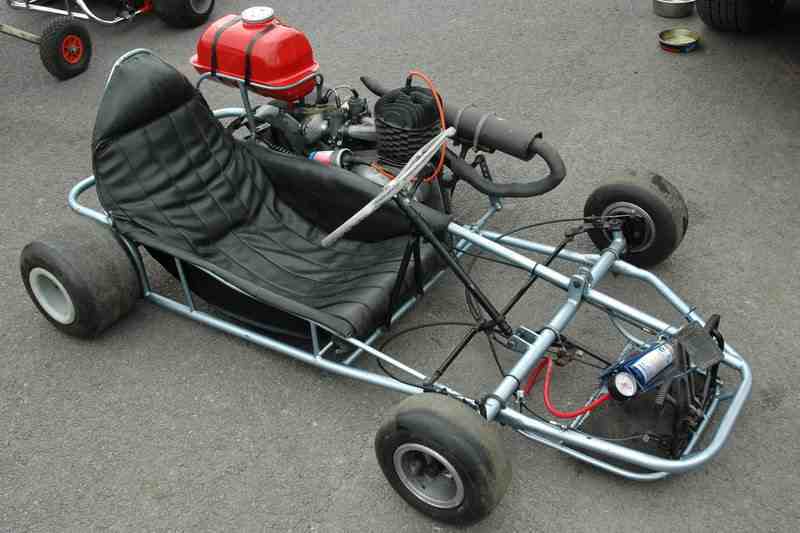 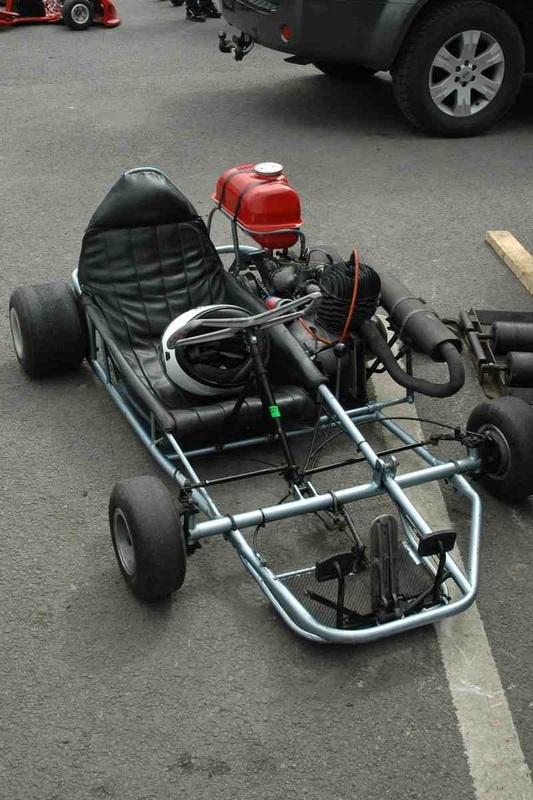 The Smi-Laydown style of this kart was quickly adoted by anyone who wanted to compete on long circuits, it wasn't until the mid 80s that the frame style was copied by the big manufactures. 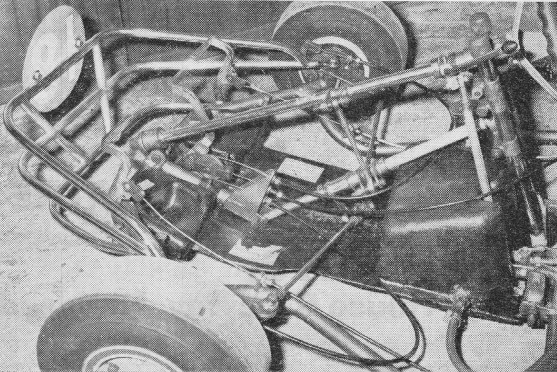 Like the Lay-down it had four chassis rails and four axle bearings, the axle ran through the centre of the fuel tank; the engine sported twin Tillotsons and had no silencer. 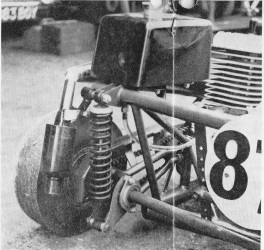 The brakes were Drum on the front and Disc at the rear and it ran with five inch wheels all round. 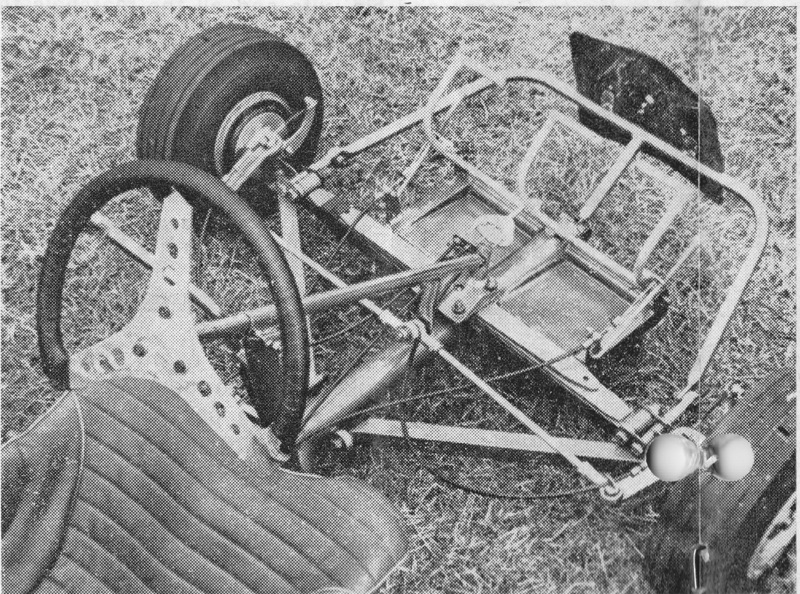 Peter also added a damper to the twin steering columns. 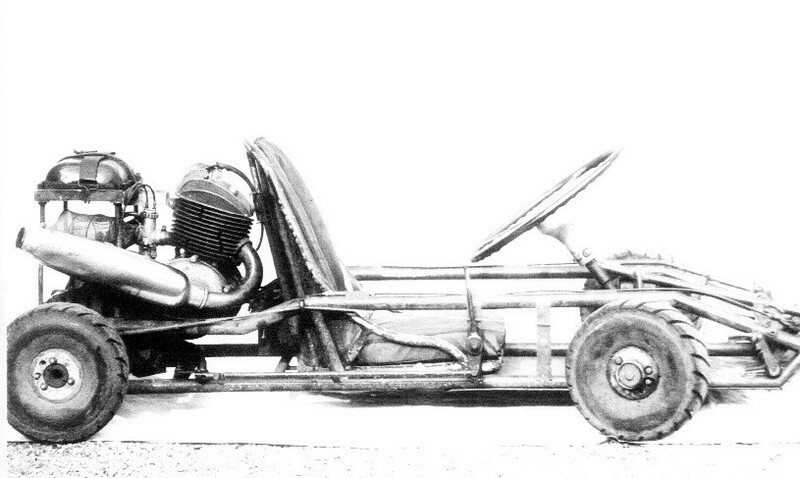 Bill Griffin and Bert Hoare built this amazing machine and by all accounts it was very successful.
" 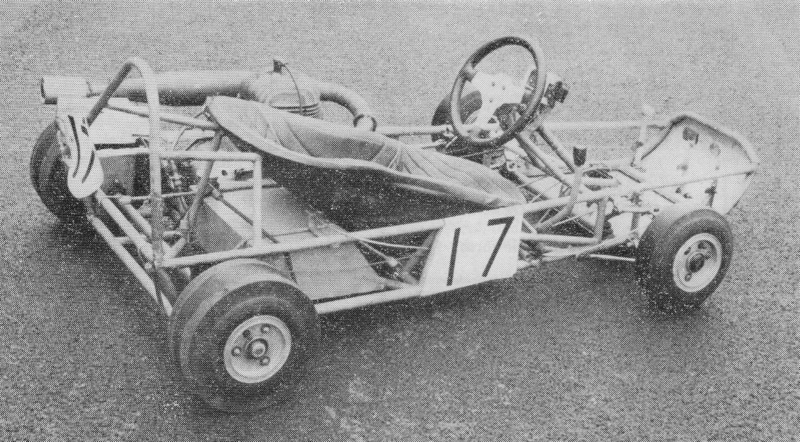 The Meson mk II was built by C. Ross and B. Hawkins with the chassis, seat, foot tray, tank, pedal mounts and steering mount all integrally moulded in glass-fibre. 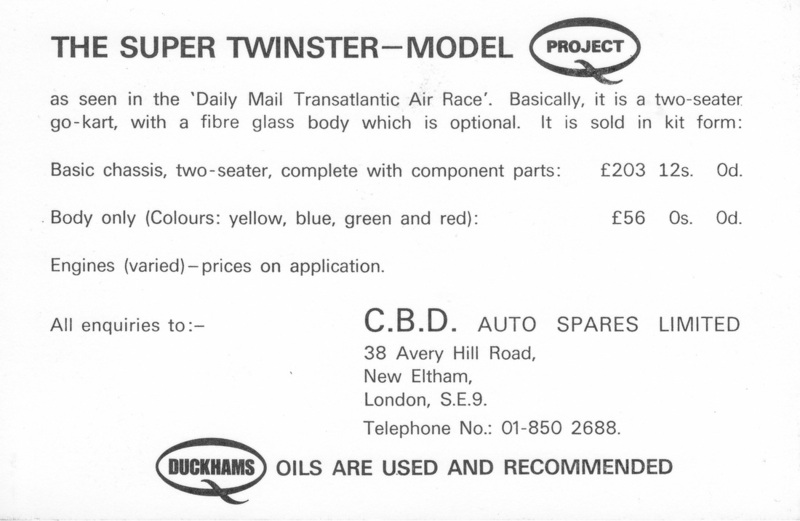 The reinforcement is either satin weave glass cloth or chopped strand mat dependant on local stress levels and thickness ranges from 0.05" to 0.125" according to position. 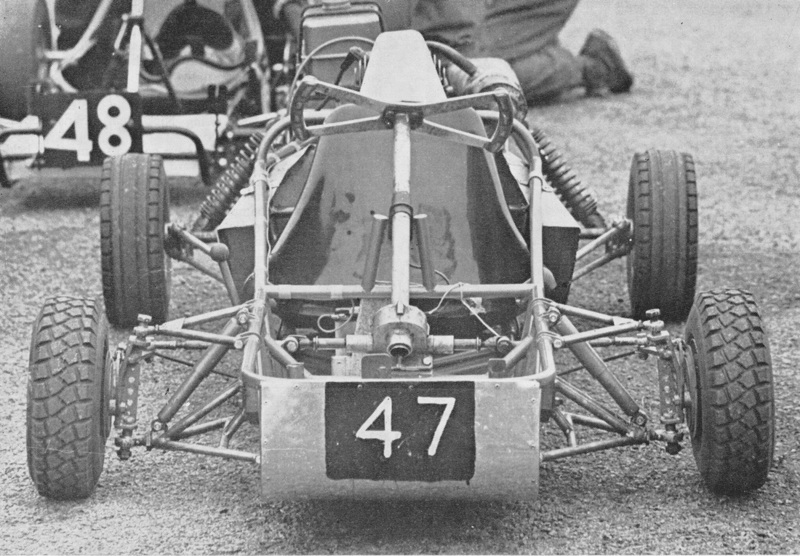 The independent front suspension utilises reinforced plastic spring links and these are also used at the rear for non-independent axle. 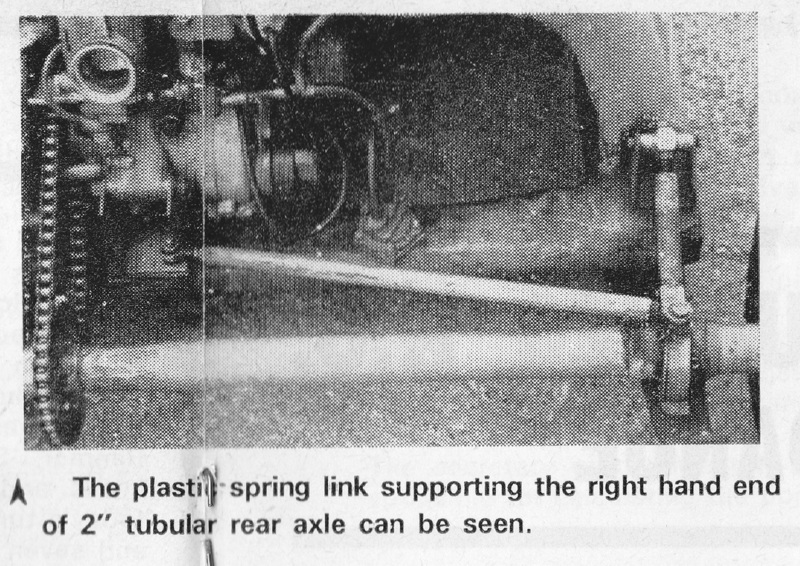 The brakes are home-made and hydraulically operated. 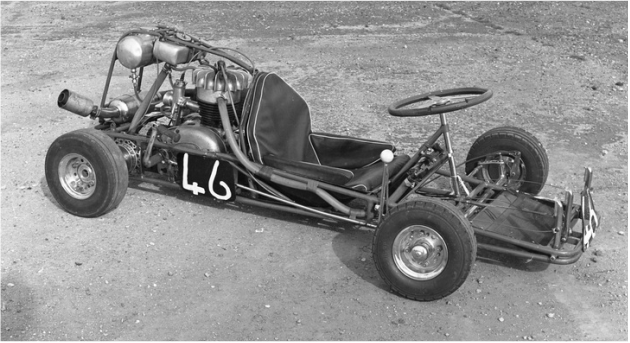 The wheels were made from glass-reinforced plastic in home produced matched aluminium tools under pressure. 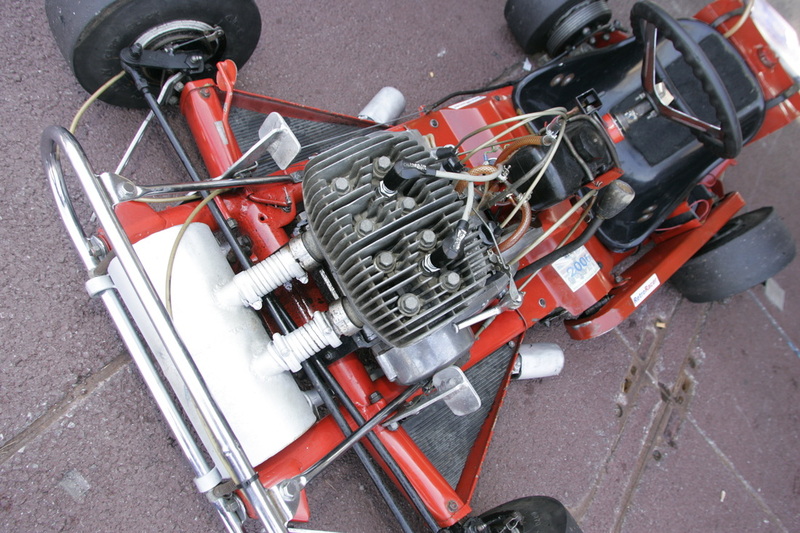 The engine is a Villiers Starmaker." 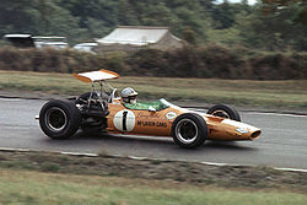 Designed in 1968 by Robin Herd and Gordon Coppuck the McLaren M7A was McLaren's best offering until 1971. 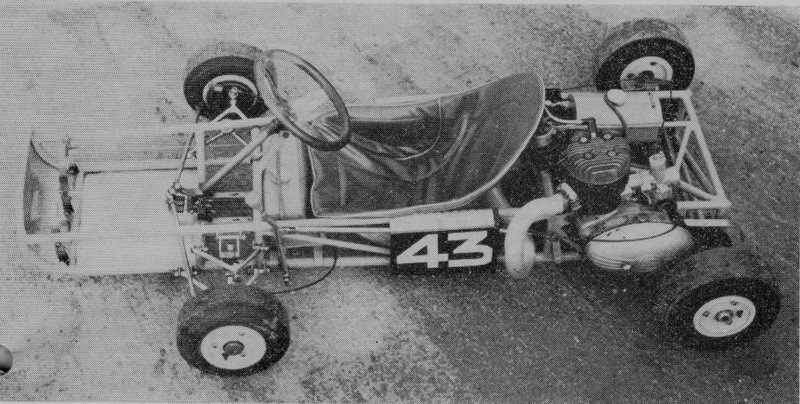 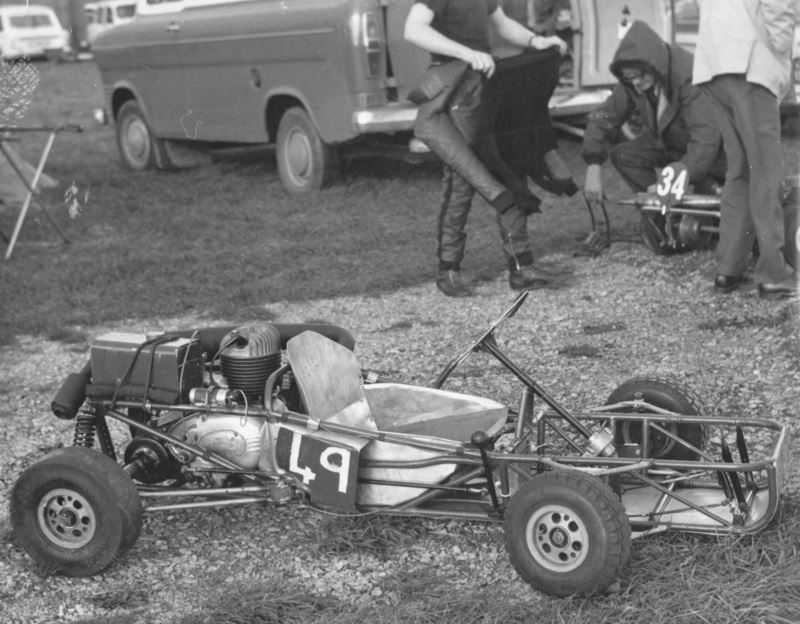 Below: Kart number 51 the MILES SPECIAL/DKW driven by R. Miles and P. Mercer at the 1968 Snetterton 9hour race. 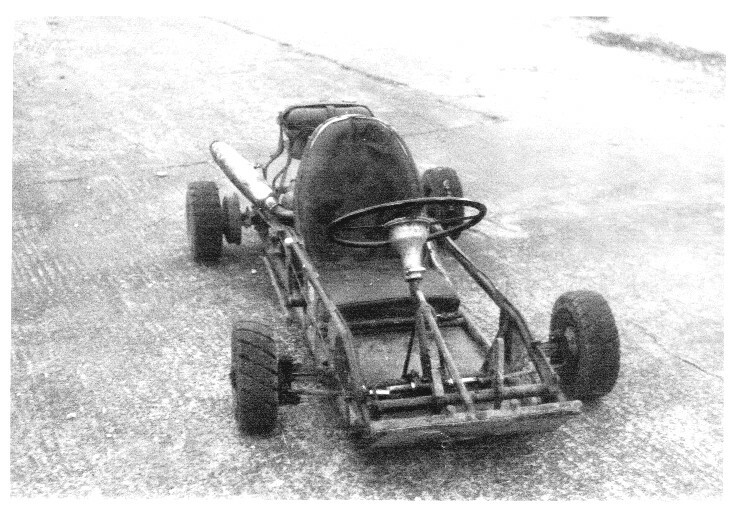 I received an email today (1-3-15 see below) from Alec Brooks the son of the Trident Kart builder, if anyone has any information as to the whereabouts of this kart please email me. 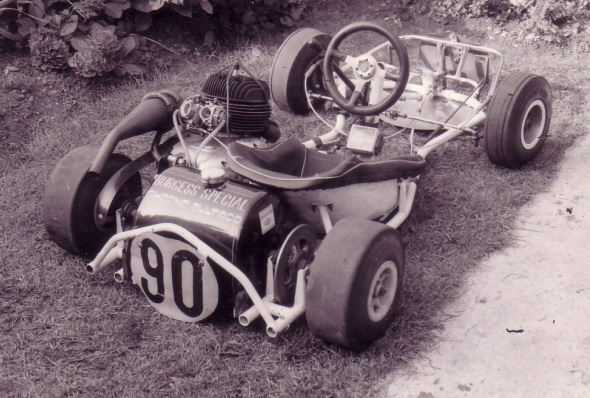 "Regarding the A.N.OTHER kart, last on page of historic karts, I remember this kart with fantastic memories. 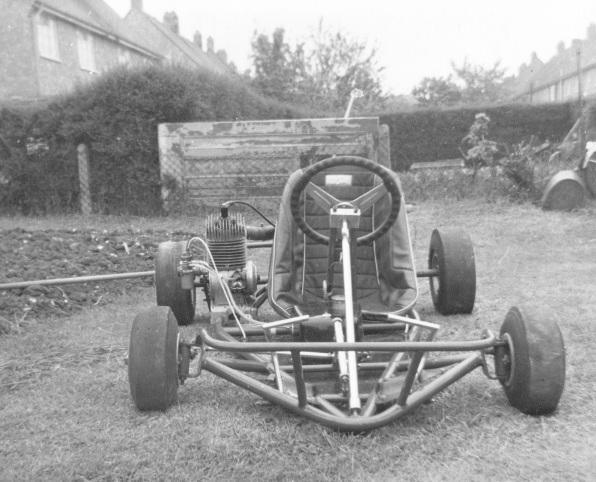 It was called Trident and it was made by my dad Cyril Brooks in summer of 1969. 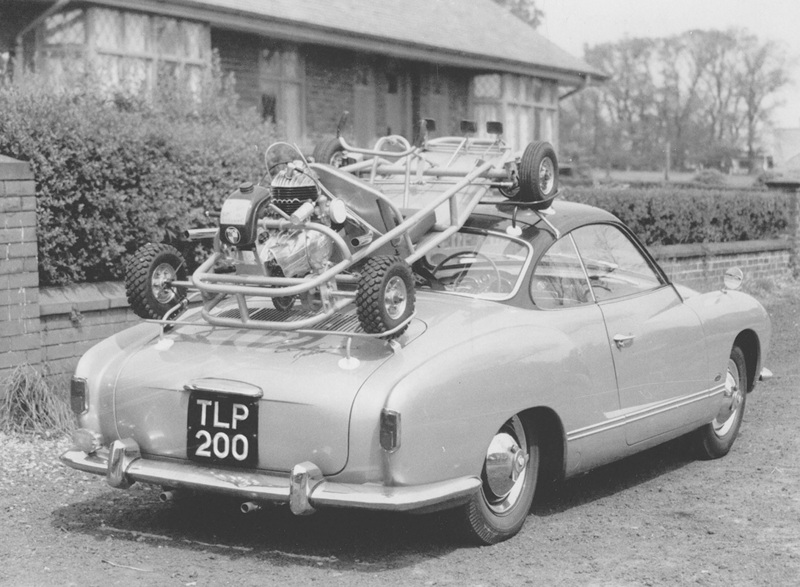 It was sold to a man called George Worley from High Wycombe. 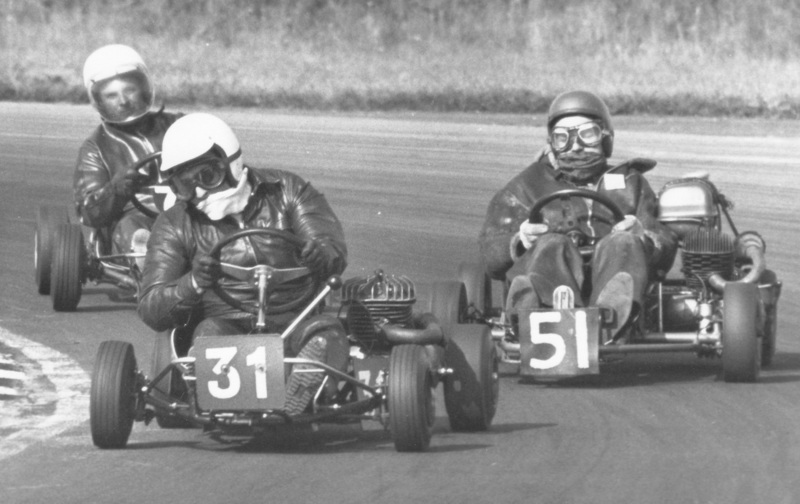 Myself and George raced it at Snetterton 9 hour race, September 1969. 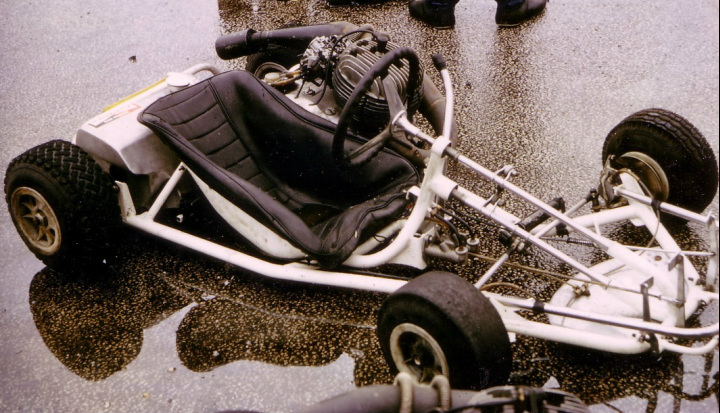 It was the best handling kart I have ever been on in my life. 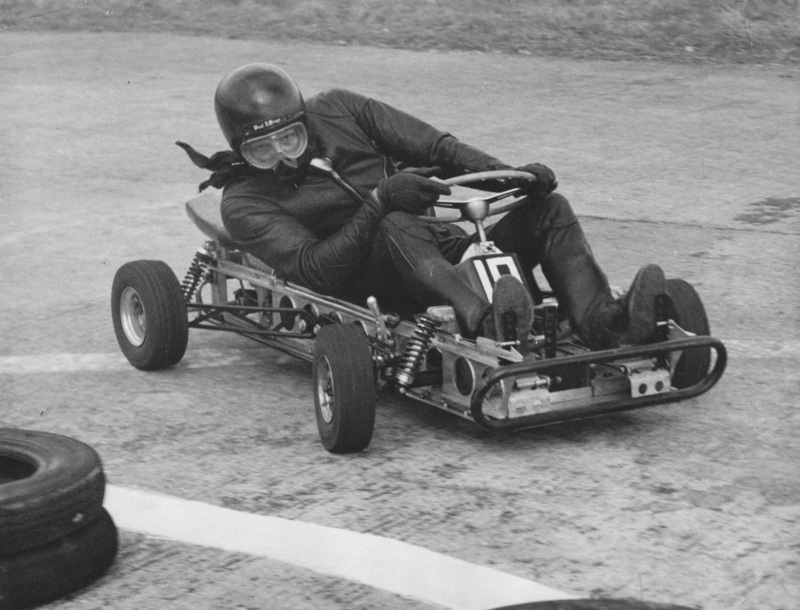 It held lap record of that day, as you could hold it flat out through the corners with no problem. 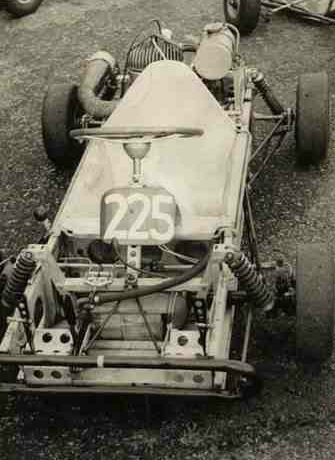 Mind you, I was a very light 17 year old then, I'm now nearly 63." 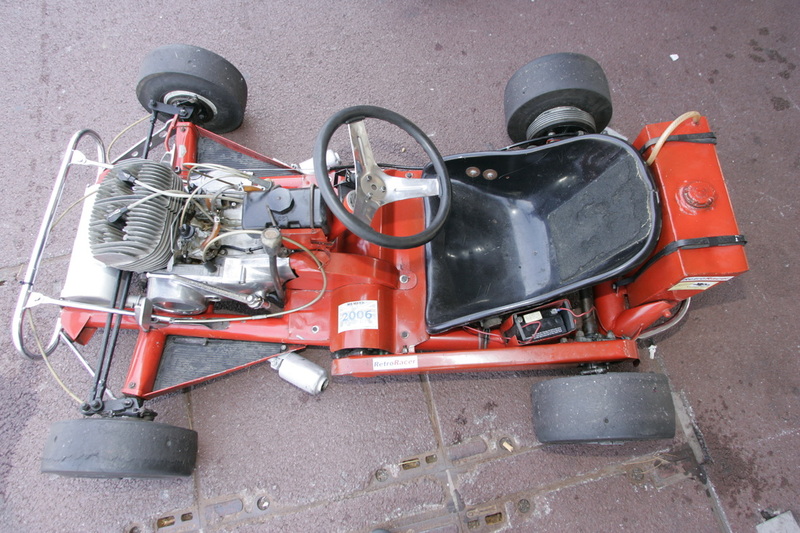 U.G.L.Y these karts have no alibi, there ugly.